4 cards are dealt for all players to see, two of which have yellow backs. The first player uses as many or as few cards as needed, (the only rule is each card can only be used once per turn) to create an equation that equals 1. 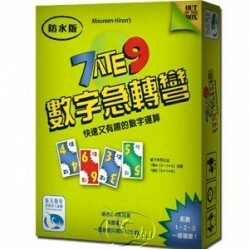 The next player uses the same cards to create an equation for 2 and play continues as high as cards or ability allows. 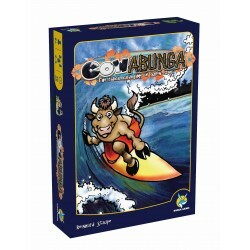 The player that finds the highest consecutive operation wins! 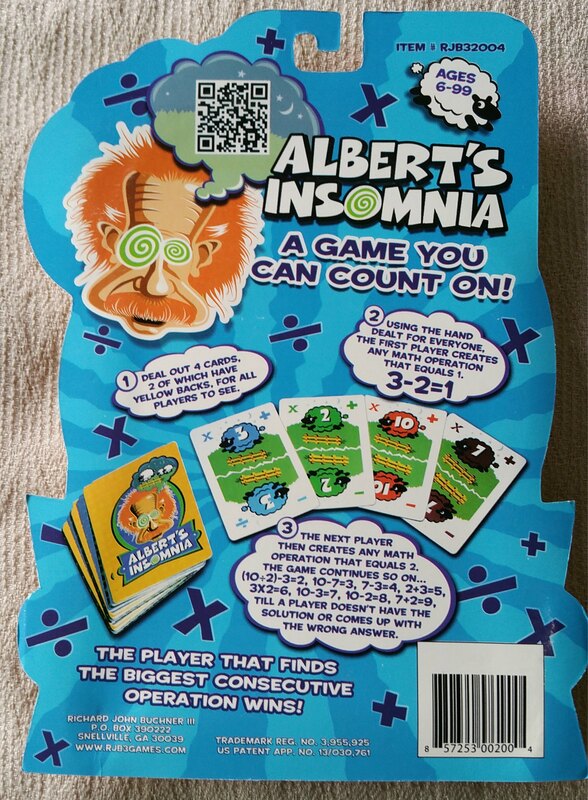 Albert’s Insomnia is a mental math game using math operations, which can be differentiated for all grades, inclusive of K-5, 6-8 and even high school level students (when factorials and exponents are incorporated into the game). 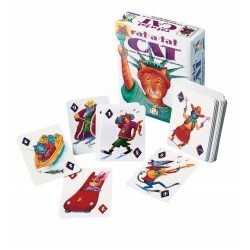 Because Albert’s Insomnia is easily differentiated, it provides the teacher or parent with flexibility to adjust the game to each student’s level. A teacher can easily raise or lower the ability level of the game by choosing different numbers with which the student(s) can work. It allows for individual use, small group and whole class learning experiences. 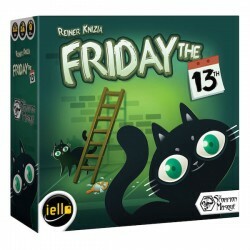 The game can teach students in small groups and as a whole class to work collaboratively and cooperatively, encouraging team work within the classroom. Because Albert’s Insomnia is a mental math game, it gives students the opportunity to think and solve equations in order to achieve success in the game. 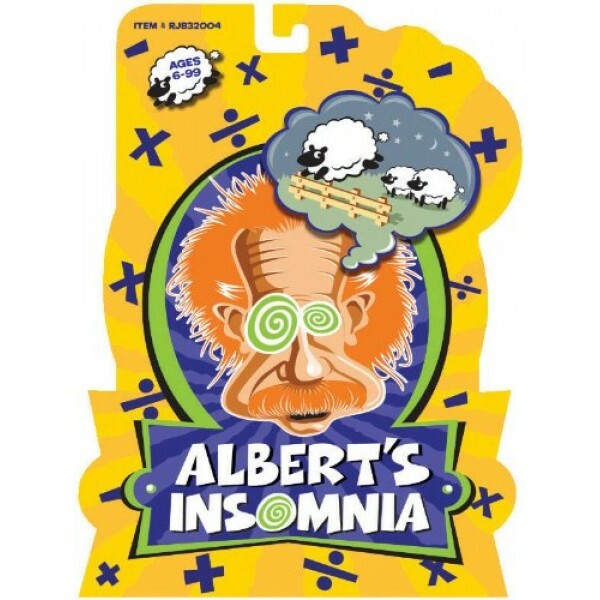 Albert’s Insomnia is not a game where students methodically repeat drills in order to learn their math facts. Students naturally acquire this ability through the different processes needed in order to complete the solutions. Students are able to first visualize the numerical operation by the number on the face of the card, then by referring to the different operation signs (add, subtract, multiply, divide). 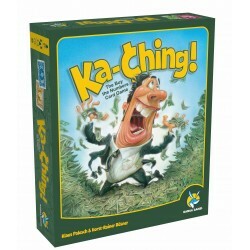 The game can also allow for tactile bodily/kinesthetic engagement as students move the cards or touch the cards while working through their solutions. Students inherently begin to acquire the knowledge of multiplication and division through their repetitive use of the numbers to consecutively count the sheep in the game. When students achieve a solution, they reinforce their newly acquired skills and the other students participating in the game also hear the repetition of the mathematical equation, which provides reinforcement of the necessary math skills needed for students to be successful in math.